This level have normal difficulty and you need to use few simple strategy to complete this level requirement within 2 moves with balancing the Odus owl. 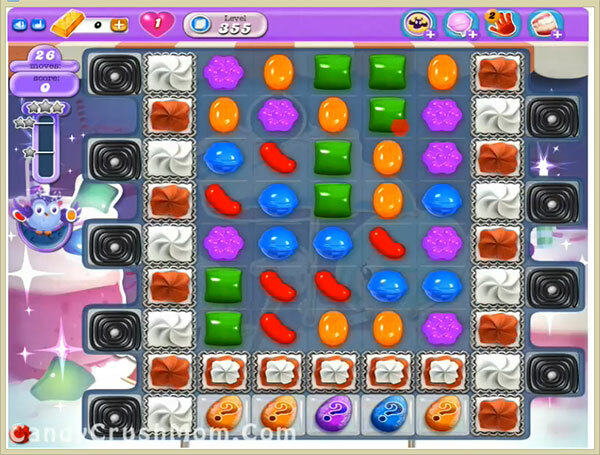 For this level first you should try to break blockers and make special candy any where you get chance. After try to make special candy like wrapped candy that you can get by make ‘T’ or ‘L’ shape of same color candies and break them if you can balance the Odus owl. After wait till moon struck and use special combo and if you have luck you can complete this level. We completed this level with 50300 score using the same trick that we share above and reach requirement easily before 14 moves.